At the Alhambra Alumni Website (http://www.AlhambraAlumni.org) we continue to document and preserve your memories of the dedicated teachers and administrators of the Martinez School System. It gives us great honor to remember in this article the memory of a good man who served as Principal of Montecito (now the Adult High School on F Street) and John Swett Elementary School for 21 years and was a Martinez resident for 38 years, Mr. Howard Carter. J. Howard Carter, Sr., and Emma Jane Hardy. He was the third of four siblings: Bessie, Lee, Howard, and Thelma. As a boy he trapped skunks and sold their pelts in Kansas City to purchase his first harmonica. He loved to read, play music, and dance. He drove a tractor on the family farm at the age of 6 and worked hard taking care of the cows, chickens, and horses. His family lived in a sod house built by Howard, Sr., and Emma Jane, and the family felt rich when they added a wooden barn to their homestead. Howard attended a one-room school house and rode his horse each day in order to get to school. Education in a one-room school house was a good experience, as he read Chaucer and Swift, and learned Latin and high school math. After grammar school he went on to attend high school in the panhandle of Texas, graduating in 1933. In high school he learned how to square dance from his Bohemian neighbors and continued his expertise with the harmonica along with his studies. After high school he came out to California to escape the great Dust Bowl and attended college. He earned money by calling square dances and playing the harmonica. He met his wife of 46 years, Patricia Trotter on May 18, 1946, at such a dance at a Methodist Church in Los Angeles California. They were married by Patricia’s father Fredrick Trotter who was a Methodist Minister. Howard attended Fullerton Junior College from 1934 – 1937, then UC Berkeley from 1937 – 1939, and San Francisco State from 1939 – 1940, completing his education when he returned to UC Berkeley for summer classes until 1949. 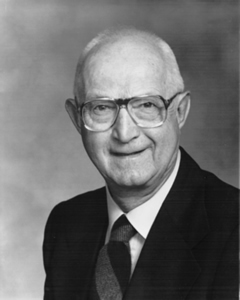 He graduated with a BA in economics in 1949 and a Masters in General Elementary Education from Berkeley in 1950. He wrote his Masters educational thesis on special education and researched/observed in a classroom of students who were developmentally challenged. His first thought was of becoming a YMCA director, but he settled upon becoming a school administrator because of his great love for children and his belief that education was the key to the strength of any community. So, with his educational degrees under his arm, he first applied and taught in Quincy, California, at Pioneers School from 1940 – 41 teaching all 8 grades. From 1941 – 42 he taught sixth and seventh grades as well as physical education in Denair, California. In 1946 he found himself in the Modesto, California, schools as a junior high teacher and Assistant Principal until 1951. Soon after leaving Modesto, he came to share his life with us in Martinez. Howard fell in love with Martinez and the community at first glance. He was offered the job as principal at Montecito Elementary by the Martinez Elementary School District, the predecessor to the current Martinez Unified School District. 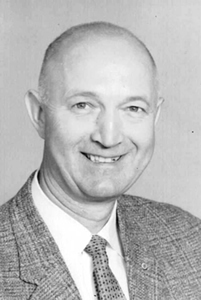 When John Swett School was completed and opened on February 21, 1961, he resided as principal over both schools until Gale Weaner took over as principal of John Swett in the mid 1960’s. Howard continued to serve as principal of Montecito. He was a member of the American Field Service; Phi Delta Kappa of UC Berkeley; Retired Teachers Association of Contra Costa County and the State of California; the Martinez Exchange Club; a life member of PTA and the University of California Alumni Club; Campfire Girls; Boys Club and active in the Boys Scouts of America. He was also a dedicated member in his faith, taking an active part in the Walnut Creek United Methodist Church. Howard started the Martinez Bike Rodeo for the local children. He participated in the city’s Fourth of July parade each year and planted a tree on his school campus each Burbank day. The Carters had two children, Anita and Margaret. Howard Carter, after a long life of love and dedication to his family and the children of Martinez, was called home to the Lord on December 24, 1992. He may no longer walk amongst us, but his legacy lasts forever in those he has touched with his kindness. To the readers of this article, we at the Alhambra Alumni Website ask you to contact us if you are related to the other principals of this time period as we would like to do a series on those educators that shaped a generation.